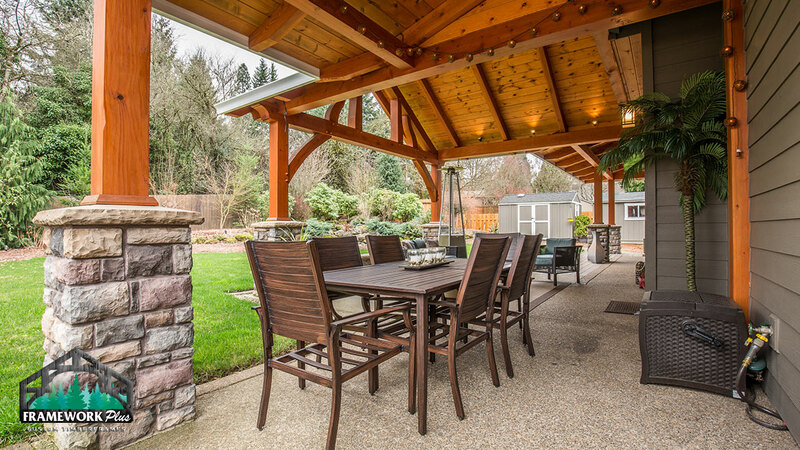 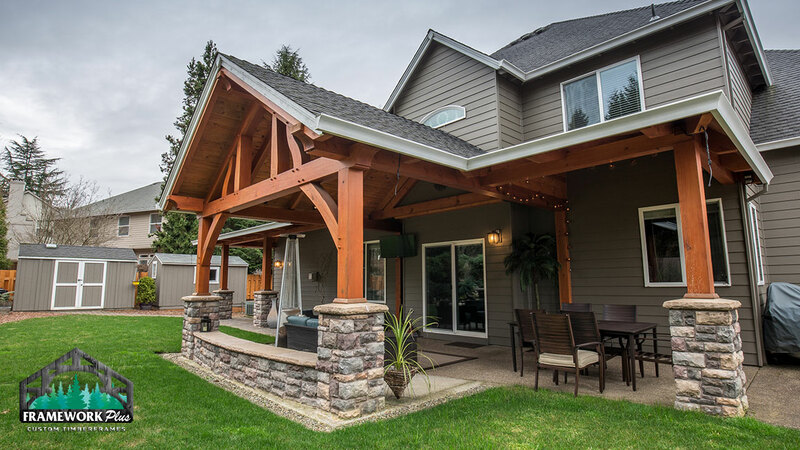 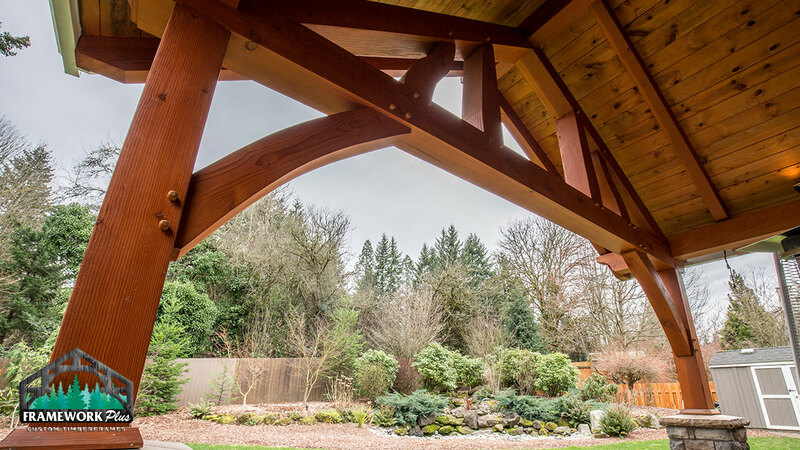 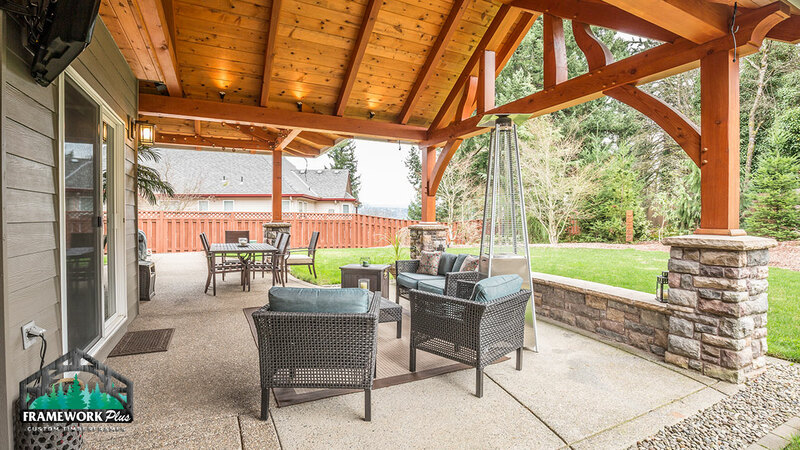 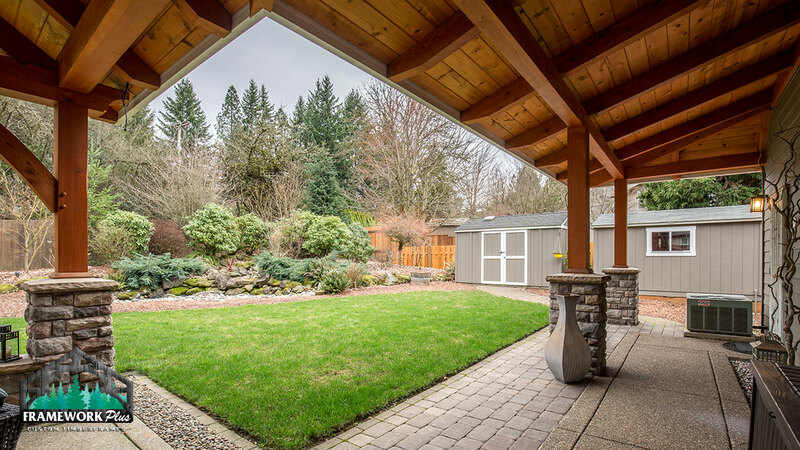 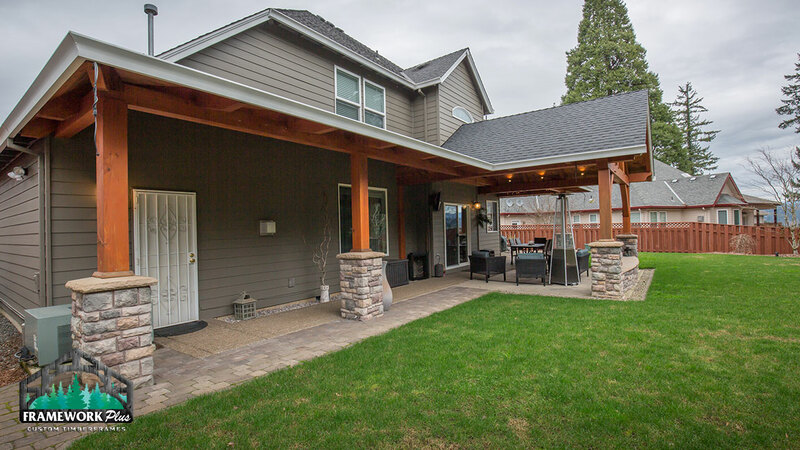 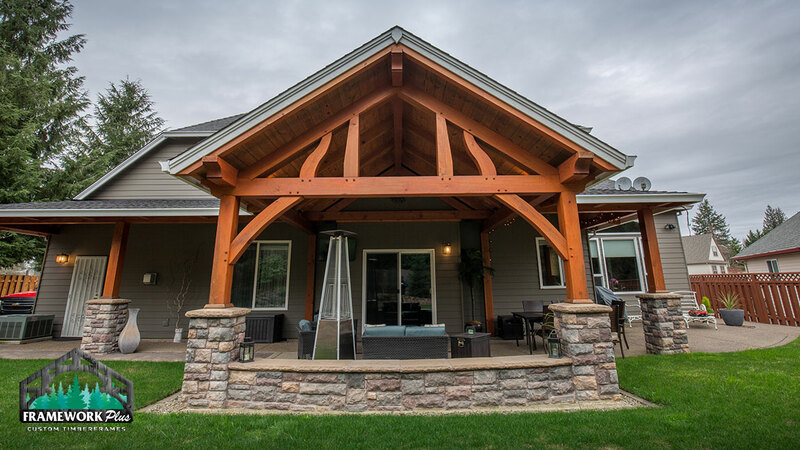 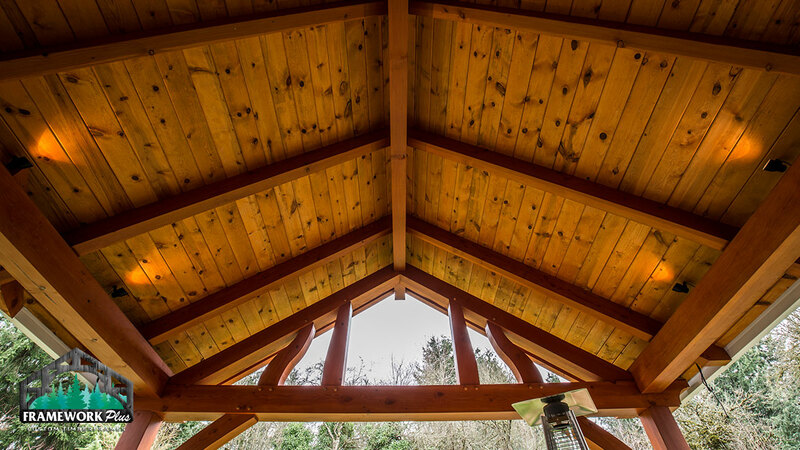 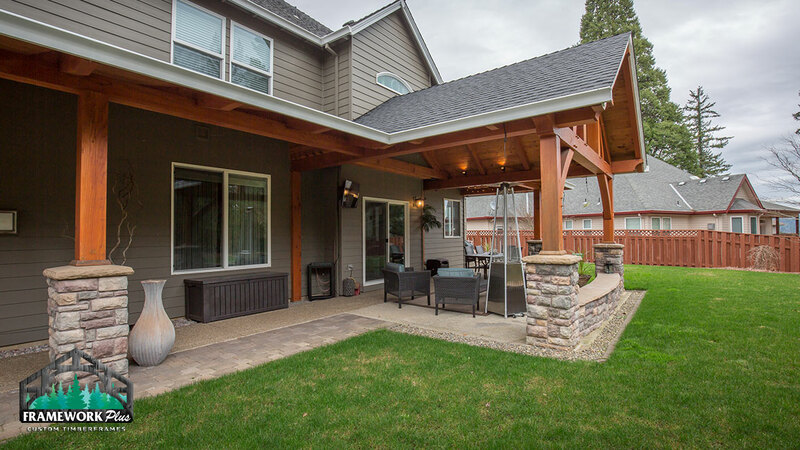 This custom attached timber frame pavilion was designed to fit the back of an existing home. 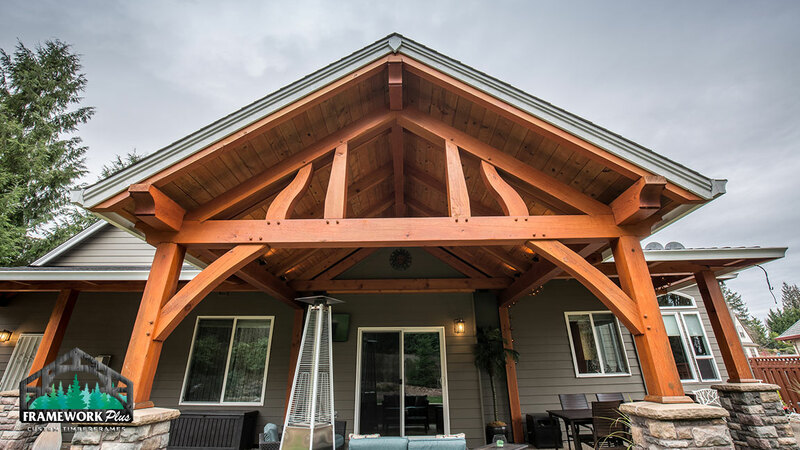 It features queen post trusses with tongue and groove ceiling and a roof to match the rest of the house. 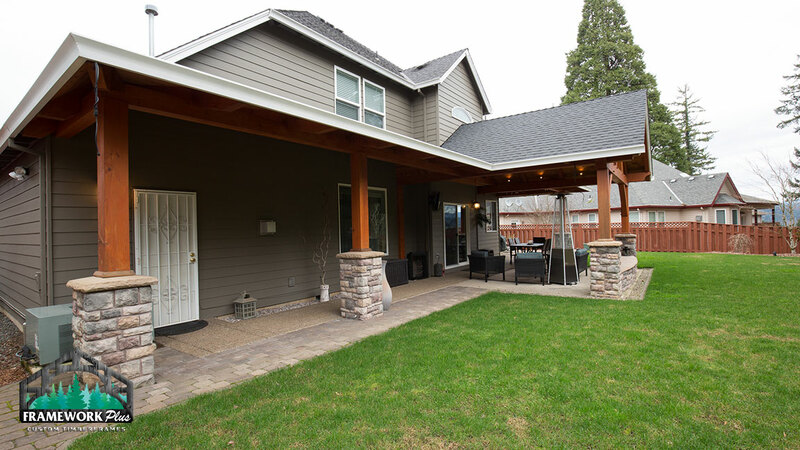 The matching roof is blended as if it was there when the house was originally built. 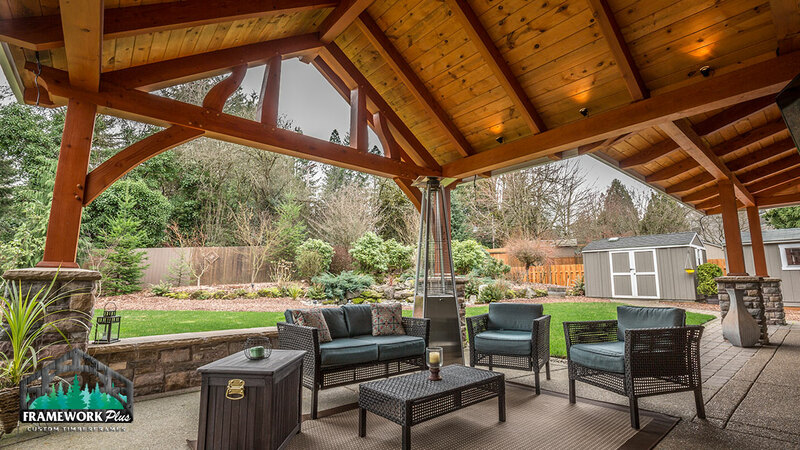 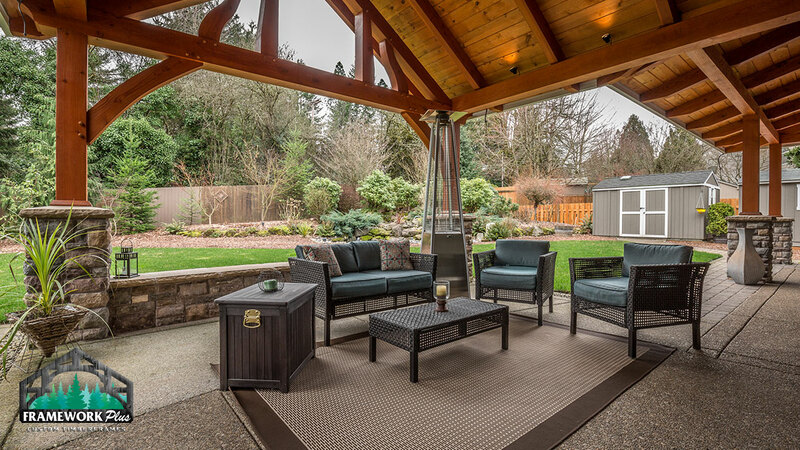 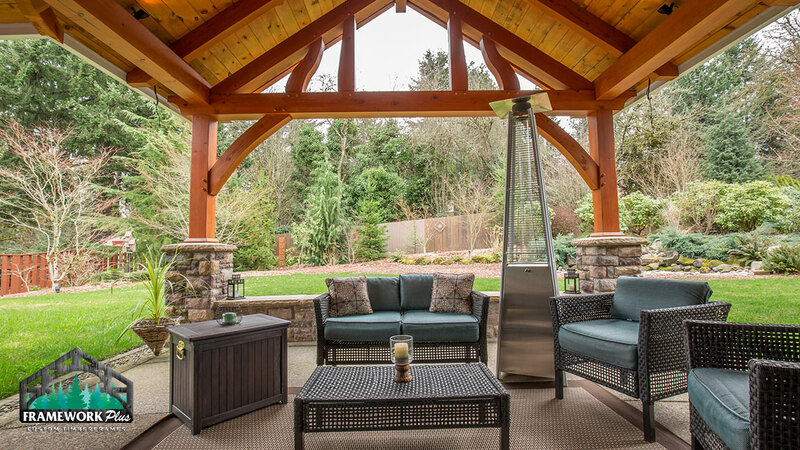 This custom pavilion makes outdoor living comfortable and affordable.